At the 2017 annual meeting of the Ecological Society of America, La Kretz Postdoc Alex Pivovaroff was the co-recipient of the Plant, Cell & Environment Award for the best oral presentation by a postdocotoral scholar in the Plant Physiological Ecology Section. The title of her talk was “In the heat of the moment: Diurnal patterns of branch carbon uptake and transpiration during heat waves”. Alex is now a visiting assistant professor at Whittier College. 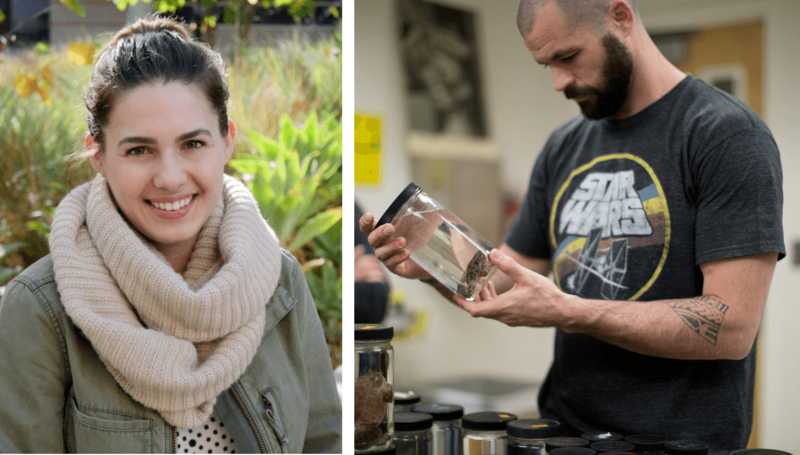 La Kretz Postdoc Jesse Grismer was named by Zootaxa as one of the 101 most productive herpetologists (in terms of “taxon output”), who have described more than 8,000 reptile species and subspecies, amounting to over 60% of all currently valid taxa. Jesse has described 49 new reptile species or subspecies, and is 67th on the Zootaxa Top 101 list. We are thrilled to have an opportunity to recognize these outstanding young scientists and to highlight their contributions to their discipline. Congratulations!